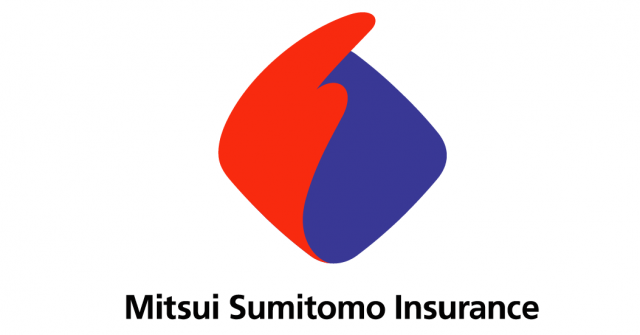 One of the prominent insurance corporations in Japan, Mitsui Sumitomo will launch a new policy line intended for Bitcoin exchanges. Mitsui Sumitomo Insurance Group Holdings Incorporated based in Tokyo was formed by the merger of Mitsui and Sumitomo Marine and Fire Insurance companies. This time, Mitsui Sumitomo partnered with Bitcoin exchange bitFlyer to work out this policy. According to the Nikkei Asian Review, the only English Language publication that focuses on Asia, the Japanese insurance conglomerate is offering a maximum of 1 billion JPY or around $US9 million coverage. Premiums will be as high as several million Japanese Yen. There is still no timetable for the project launch. The unveiling in Japan is important considering the downfall of Mt. Gox, the biggest Bitcoin Exchange in Japan that went bankrupt in 2014. Observers attribute the collapse to weak management, negligence and lack of experience which caused its downfall. $27.4 million was missing from the bank accounts of Mt. Gox while $460 million was reportedly stolen by hackers. Mitsui Sumitomo only covered a portion of the amount lost but this forthcoming launch offers some consolation for both users and regulators watching over the virtual currency exchange ecosystem. The new product emerges as the financial services sector of Japan espouses a more assertive position towards crypto-currencies and Blockchain technology. 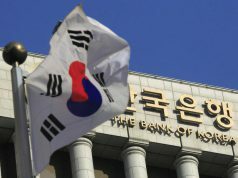 Last November, some 42 banks in Japan joined the SBI Group and Ripple, a start-up in distributed ledger systems to establish a new consortium for trans-border payments. Individual companies have been experimenting on multiple applications during the last few months which drew the support of the Japanese Government. In October, local sources revealed national finance watchdogs were considering to get rid of a sales tax for this virtual currency. Japanese lawmakers and regulators decided last year to change oversight or controls on Bitcoin exchange. This insurance plan is a protection for Bitcoin exchanges and users of the currency. It affords complete coverage from 10 million (JPY) to 1 billion (JPY) against losses and damages caused by cyber attacks, illegal access, mistakes and irregularities committed by employees. The product is the first-ever in Japan and pay for expenditures in dealing with issues like notifying clients of incidents and coping with damage lawsuits in other countries. Premiums are computed based on the exchange commission’s revenues. At present, bitFlyer is the number one Bitcoin exchange in Japan that handles monthly transactions over 00 billion Japanese yen. Its local counterparts operate on smaller magnitudes and lack resources to tackle extensive damages that amount to millions. Their clients face the danger of not getting full compensation if a loss arises. This policy can help ease apprehensions among users of Bitcoin. Last April, bitFlyer was able to get hold of 3 billion yen in Series C financing. It was spearheaded by SBI Investment and Venture Labo Investment firms which followed the funding round in August. It secured 510 million yen from Mitsui Sumitomo Insurance, Mitsubishi UFJ Capital Corporation, Dentsu Digital Holdings, and Venture Labo. It begins with seed-stage investments from Series A to Series B and Series C. Companies turn to Series C for acceleration following Series B. The purposes include sustaining fast growth, going global and making acquisitions. Shares were given out to investors through a third party. The Japanese Diet passed a bill to control operators of crypto-currency exchanges in May and help ascertain extra protection for consumers. The Cabinet approved the measure on digital currencies and treat said currencies as assets with value and used for payments or digital remittances. This digital currency exchange served more than 150, 000 consumers in April which is 10 times more than the figure during the same period of last year. The Bitcoin exchange came from a number of investment rounds that started in October of 2014. Fund raising at that time was meant to assist bitFlyer in its global expansion programs with Singapore as target during that time. There has been a notable surge in investments toward virtual currency exchanges with Kraken as one of the important recipients from Japanese investors. 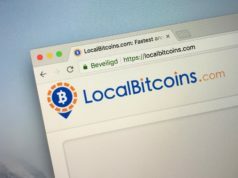 It was reported that bitFlyer plans to create an electronic commerce site where the Bitcoin currency will be accepted. As of this date, total funds that bitFlyer obtained has reached more than $US35 million. Japan is known as the third-largest economy worldwide but stringent regulations have hampered financial innovation in this country. Easing of investment controls can relax capital flow in an economy with a projected $US9 trillion worth of individual cash deposits. The truth is these rigid controls; quick access to low-interest credit; and, feeble demand for pioneering financial services create a risk-reluctant populace that still choose cash transactions over credit cards have suppressed the growth of Japan’s FinTech industry. Financial technology ventures were estimated at around $US2.7 billion in China in 2015 and more than $US1.5 billion in India, based on data from CB insights. United States ventures drew investments of roughly $US7.4 billion. These ventures consisted of start-up firms’ leveraging technologies such as cloud data storage as well as smartphones that provide insurance coverage, payment services and loans. Major and minor players in the financial marketplace of Japan wish laid-back policies on financial investments and new approach in the regulation of digital currency exchanges is the initial step towards jumpstarting the financial technology transformation in this booming Asian economy. 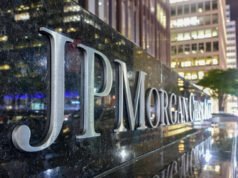 Sales in Japanese FinTech enterprises can increase to more than ½ billion US dollars by 2020 with the sustained increase in the use of Blockchain platforms. Japan’s Financial Services Agency (FSA), the government regulator in charge of the banking, securities, exchange, and insurance industries, is implementing new rules on crypto-currencies can make Japan one of the first economies to standardize Bitcoin at a national level.